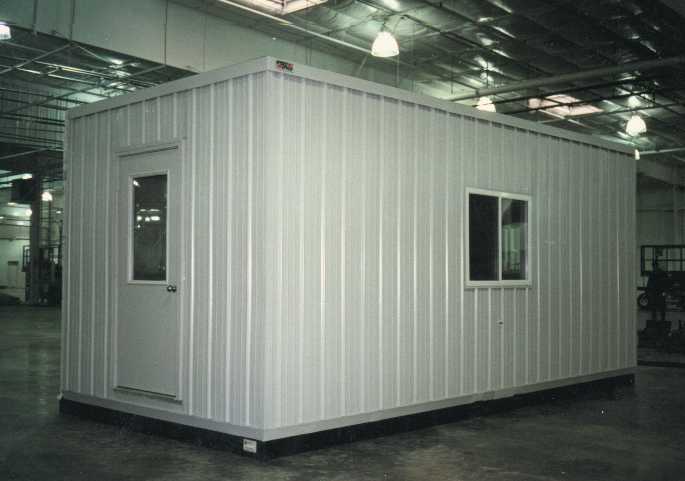 Modular Warehouse Offices - Commercial Structures Corp.
Commercial Structures is proud to be a leader in modular, prefabricated warehouse offices. Our top-of-the-line modular solutions can be outfitted with professional interior decor, custom electrical wiring, washroom facilities, fluorescent lighting, flame-retardant materials, built-in weather shields, and much more depending on the specific needs of your facility. Warehouses often require additional rooms to enhance productivity, employee comfort, and communication between workers and plant managers. Portable, prefab warehouse offices serve as an ideal solution for facilities seeking optimal flexibility and versatility. Perhaps you need an extra office in your warehouse for an individual, or for multiple staff members, or to accommodate an entire team. 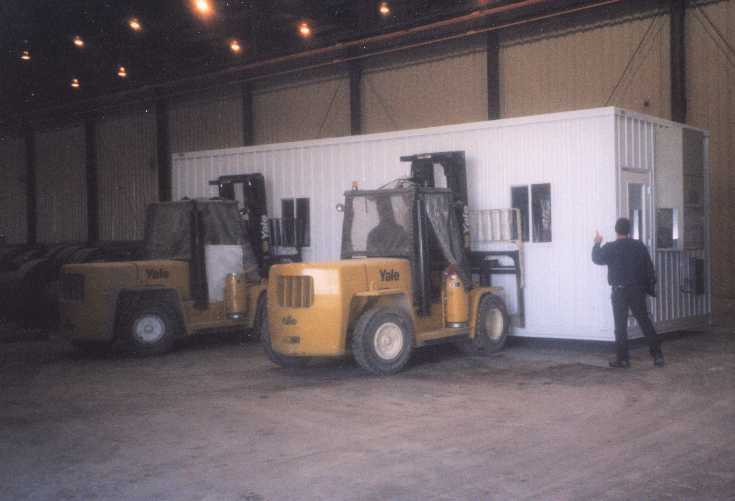 Commercial Structures has expertise in a wide range of modular warehouse buildings, including quality-control booths, transmission buildings, archive storage, weigh stations, security areas, restroom facilities, first-aid buildings, time-clock stations, and engineering offices. 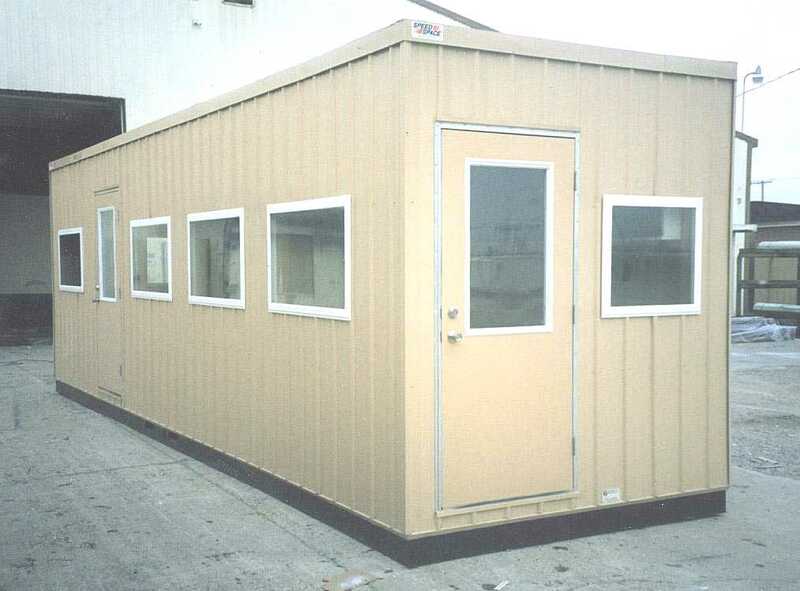 Our portable warehouse offices and rooms offer a number of benefits. Space optimization ensures nothing gets in the way of the success of your facility. Reduced disruption allows for increased productivity and workplace efficiency. Optimal structural integrity allows for a longer office life span, as well as reduced costs in the long run. Expansion is easy if you wish to augment the space of your office, and modular relocation is very simple, as our offices and buildings can be moved to any location within your facility in a matter of minutes. 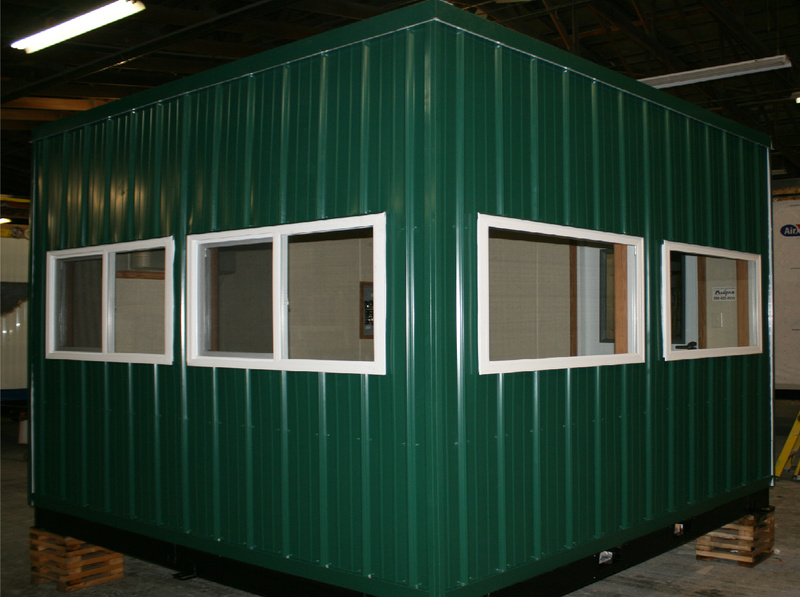 All of our modular warehouse offices and structures are fully assembled, wired, and plumbed, making them perfect for both indoor and outdoor use. For our clients, adaptability is key, and to address in-plant space expansion requests, we can fabricate and install two-story and multi-story buildings. These offices are flexible, economical, and space-efficient. Two-story buildings can be fabricated as all-steel constructions without superstructures or mezzanines, offering superior sound control between floors. Other exterior siding options include aluminum, vinyl, wood, and stucco. For the interior, a number of offerings are available, including vinyl-covered gypsum, steel wall panels, pass-through windows, security window screens, sliding pocket doors, custom counters and cabinets, diffused lighting, and intercom systems. The floors can be covered in aluminum, carpet, rubber, tile, or vinyl. 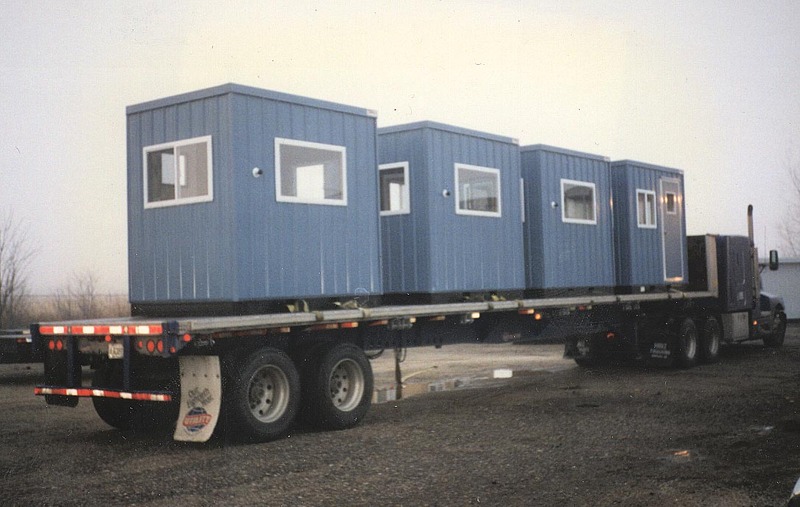 Our multi-story stackable modular buildings can also be used separately as needed. A family-owned business, Commercial Structures has been serving customers’ various modular needs since 1976. We are a full-service operation, offering design and engineering services, as well as construction and fabrication, delivery and setup, and financing and support. We are proud to serve customers across a wide range of industries; energy, manufacturing, military, and mining are just a few of the many sectors we serve. Our customers work in all types of settings and locations, including stadiums, distribution centers, correctional facilities, private and public schools and universities, recycling and waste facilities, and steel mills. The goals we established when founding our company — to construct high-quality buildings at a reasonable cost, and to treat our customers and employees with respect and honesty — still serve as our foundation today. All of our modular warehouse offices can be customized to accommodate specific requirements and are delivered in as little as six weeks. To learn more about our modular warehouse storage and office solutions or discuss your options with an expert, request a quote from the team today. 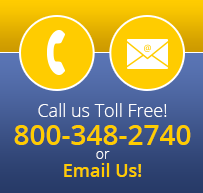 We’re on hand to answer any questions you may have. Easily relocate anywhere in your plant with a fork truck in minutes. Commercial Structures’ buildings can be listed as an equipment asset. No superstructures or mezzanines required. Superior sound control between levels. Can be used separately if required. Commercial Structures’ two-story offices offer the maxim space for your growing needs.